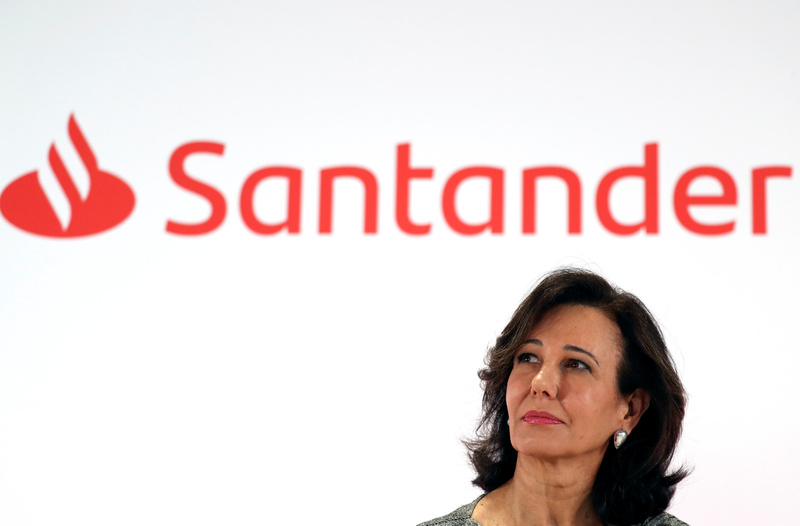 Banco Santander's chairwoman Ana Patricia Botin attends the annual results presentation at bank's headquarters in Boadilla del Monte, outside Madrid, Spain January 30, 2019. Banco Santander on April 3 said it aimed to achieve annual cost savings of 1.2 billion euros as part of its mid-term targets. The Spanish bank also raised its target return on tangible equity, a measure of profitability, to between 13 and 15 percent in the medium term, and said it planned to maintain a common equity Tier 1 capital ratio of between 11 and 12 percent. Santander also said it would slash the number of executives that sit on its management committee from 24 to 11. Santander shares rose 1.3 percent to 4.33 euros at 0741 GMT on April 3.